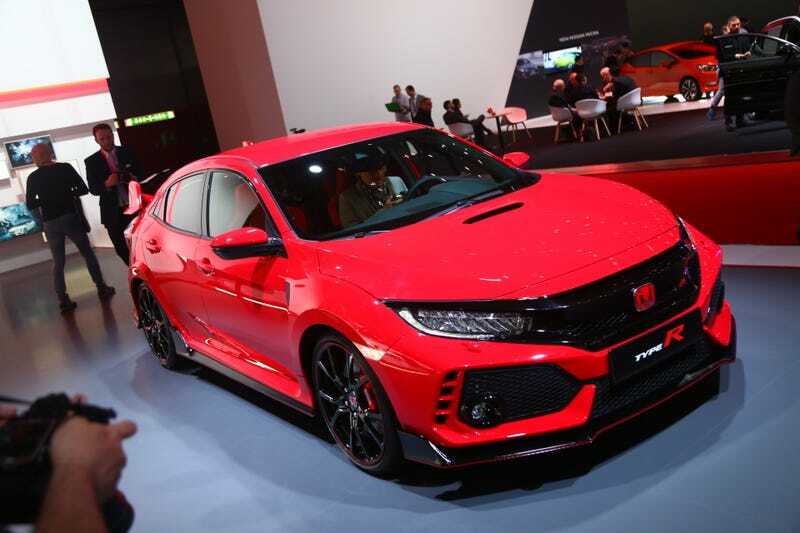 “It looks like something a teenager drew in a notepad” seemed to be the consensus from the commentariat about the 2018 Honda Civic Type R today. Yes, yes it does. And you know what? Good. Good. The modern auto industry is a never-ending deluge of boring crossovers and family-hauling SUVs. As such, I’ve come to appreciate the cars that wear their insanity on their sleeves. The Civic Type R does that. It’s a mess of vents and scoops and strakes and wings and bumps and edges. It has three center-mounted exhausts, for crying out loud. No, it’s not as tasteful and under the radar as its predecessors were. You didn’t have a clue what those Type Rs were unless you knew where to look. But you know what? Car design has gotten more boring over the years. The Japanese auto industry isn’t cranking out gull-winged kei cars and triple-rotor superluxury coupes these days. Do you really want your $30,000, 306 horsepower track-ready JDM superhatch to look conservative? I’m good with the craziness. Enjoy these photos, you may feel the same when you’re done. What Can You Tell About The 2017 Honda Civic Type-R Engine By Looking At It?